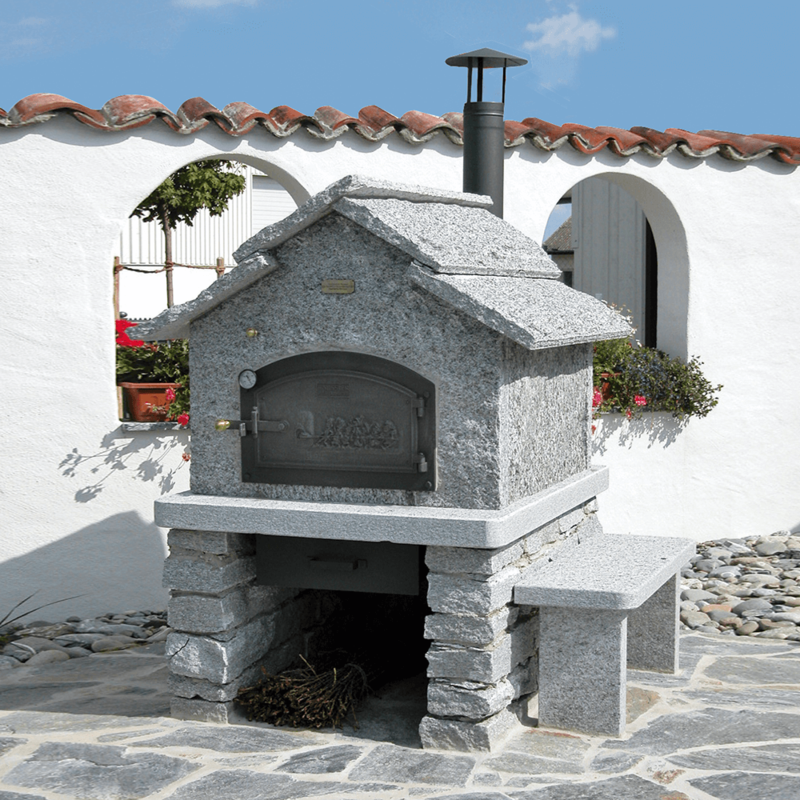 The beautiful “Tessin” small granite bakehouse is available with the wood-burning oven kits HABO 4/6 and HABO 6/8, each with door model B. The granite housing is completely cut and ready for assembly. The base stones are likewise appropriately prepared. The loading height is approx. 90 cm. 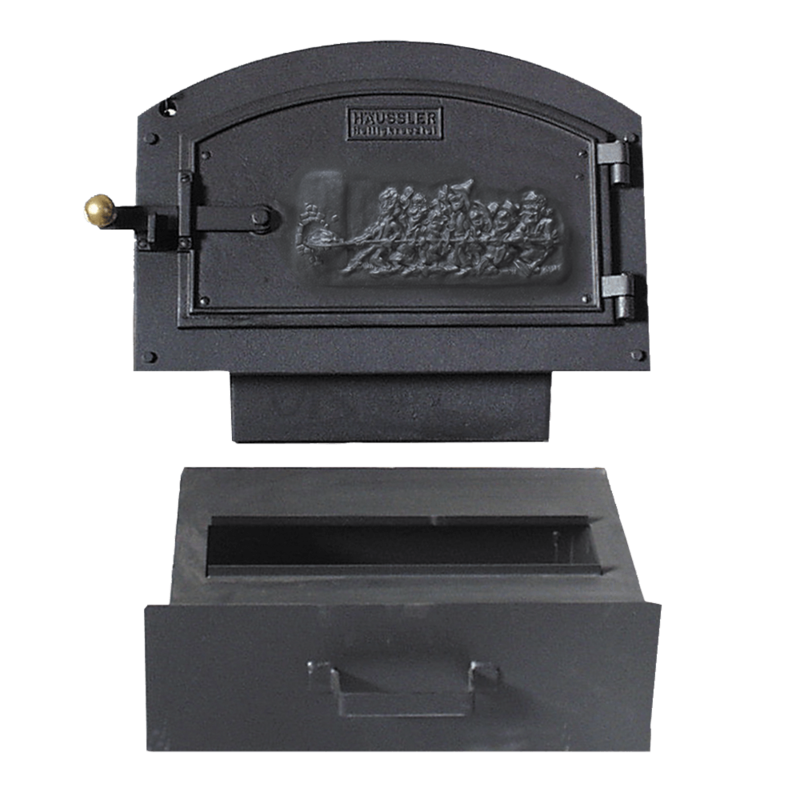 The flue pipe set is available separately. Best ordered at the same time! The stone bench is not included in the delivery.